London, the UK’s capital city with nearly 2,000 years of history and a vibrant melting pot of cultures. Blue Badge Tourist Guides go through two years of training so that they can share the very best of London with you. Entertaining and informative, reliable and professional with local and up to date knowledge, your London guide will turn your visit into an experience. Westminster Abbey. The place of every coronation since 1066, home to the Coronation Chair, the shrine to Edward the Confessor and the Tomb of the Unknown Warrior, and the venue for William and Kate’s wedding in 2011 and Harry and Meghan’s in 2018. A visit to the Abbey takes you through nearly a 1,000 years of British history. It’s a place of architectural splendour, the burial spot of monarchs, and yet is still a working church with services each day. 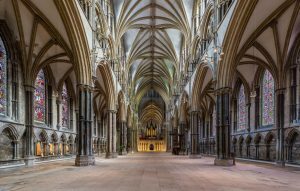 Take a tour of Westminster Abbey. Buckingham Palace and the Changing of the Guard. One of the monarch’s official residences since 1837, this is the Queen’s home when she is in London. And four times a week the red-coated guards march to the sound of the regimental bands, and you can witness pomp and ceremony at its best. Take a tour of Royal London. The Tower of London. This UNESCO World Heritage site has been a fortress, a prison, the site of the Royal Mint and the Royal Menagerie, an armoury, a barracks and a Royal Palace. To step inside is to experience the middle ages and the history of Henry VIII and the Tudors. It’s also the (heavily fortified) home of the Crown Jewels. 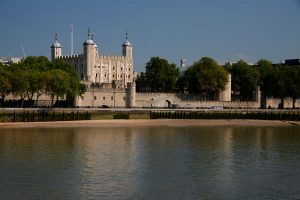 The Tower of London is a historic royal palace, former prison and fortress and national landmark on the banks of the River Thames in London. St Paul’s Cathedral. Sir Christopher Wren’s architectural masterpiece is one of the wonders of London, the cathedral’s dome recognised around the world. 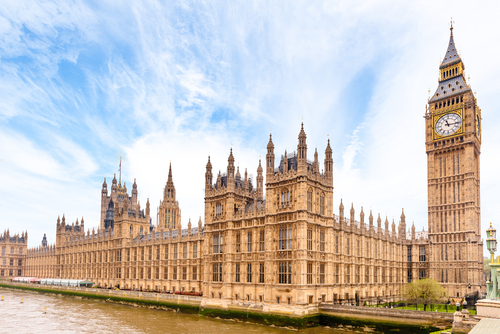 It’s been the site of huge national events – such as the funerals of Nelson, Wellington and Winston Churchill – survived the bombing of World War Two, has witnessed royal weddings and royal jubilees and, from the Golden Gallery around the dome, gives some of the very best views of the capital. 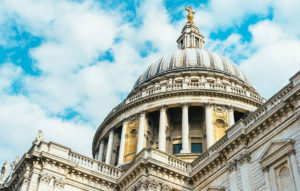 Take a tour of St Paul’s Cathedral. The National Gallery. 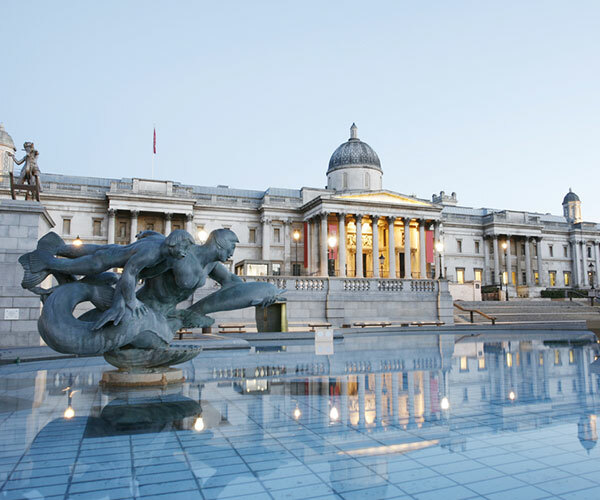 Home to one of the finest collections of art in the world, the National Gallery in Trafalgar Square has works by Leonardo, Michelangelo, Rubens, Holbein, Van Gogh, Monet, Turner, Constable and hundreds of others. Anyone with an interest in art should spend time here. Take a tour of the National Gallery. British Museum. You could spend days in the British Museum, its collection of antiquities and artefacts is unsurpassed anywhere in the world. See the wondrous works of the ancient Egyptians, delight in the Chinese ceramics, marvel at the Assyrian carvings, or marvel at medieval treasures such as the Royal Gold Cup or the Holy Thorn Reliquary. And don’t miss the Parthenon Marbles – 2500 years old and still some of the finest examples of sculptures of the human form in existence. 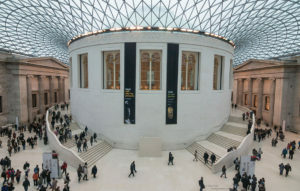 Take a tour of the British Museum. The British Museum is a great attraction for all ages. The City of London. The historic heart of London, founded by the Romans and still laid out on a medieval street pattern, there is much to discover in the ‘square mile’. 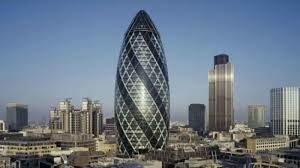 Your guide can show you the ancient Roman amphitheatre or Roman Wall, medieval Guildhall, streets known to Shakespeare and Dickens, or take you to contemporary architectural marvels such as Rogers’ Lloyd’s Building, or Norman Foster’s ‘Gherkin’. Parliament Square and Whitehall. The heart of government in the UK, with the Palace of Westminster (home to the Houses of Commons and Lords, and the 900 year old Westminster Hall), the Supreme Court, Westminster Abbey and St Margaret’s Church (where Churchill was married), Parliament Square leads onto Whitehall, where you can see the Cenotaph, 10 Downing Street, the Banqueting House and say hello to the Horse Guards. When we tell you that all of this is just scratching the surface of what London offers the visitor, you’ll realise that there’s a lot to pack in on your trip to the capital. A London Blue Badge Guide can help you make the most of your stay – whether you’re only here for a few days or are planning for a couple of weeks.